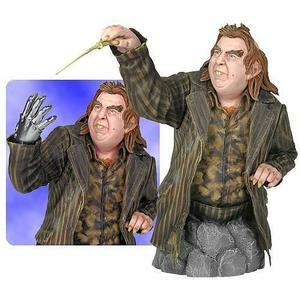 Peter "Wormtail" Pettigrew! This 1:6 scale mini bust of the despicable minion comes with interchangeable hands, one with a wand and the other the silver hand given him by Voldermort. Cast in high-quality polystone, the strictly limited edition of 550 pieces collectible from Harry Potter arrives hand numbered, complete with a matching certificate of authenticity.